Boil cleaned Ackee for ten minutes or until Ackee reaches desired texture. 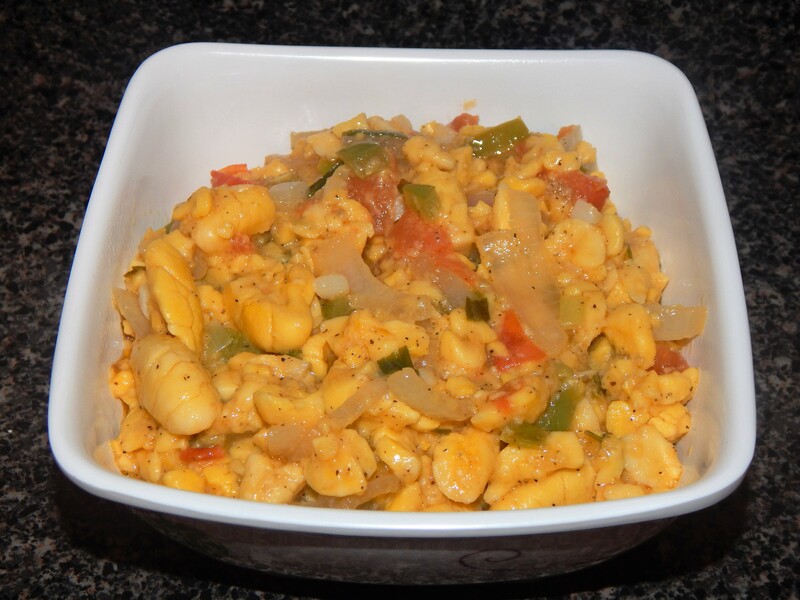 If you are using Ackee from a tin, you should skip the first step. Drain Ackee and set it aside. Wash and dice bell pepper. Wash and dice scotch bonnet pepper. Wash sprig of thyme and set aside. Heat oil in a large saucepan and add tomato, onion, scallion, bell pepper, scotch bonnet pepper and garlic. Stir together and cook for two minutes or until soft. Add Ackee and stir together with sauteed seasonings. Add thyme and pimento seeds. Stir Ackee and other ingredients. Cut each Bammy into four equal pieces. If you are using mini Bammies, there is no need to cut them. You should have 8 equal pieces of Bammy or 8 Mini Bammies. Soak Bammy pieces in salt water or coconut milk. Soak Bammy overnight or for a couple hours before frying. You soak the Bammies to give it flavor and also to ensure it’s not too oily when fried. Heat enough oil to cover Bammies in a large Dutch Pot or Frying Pot. 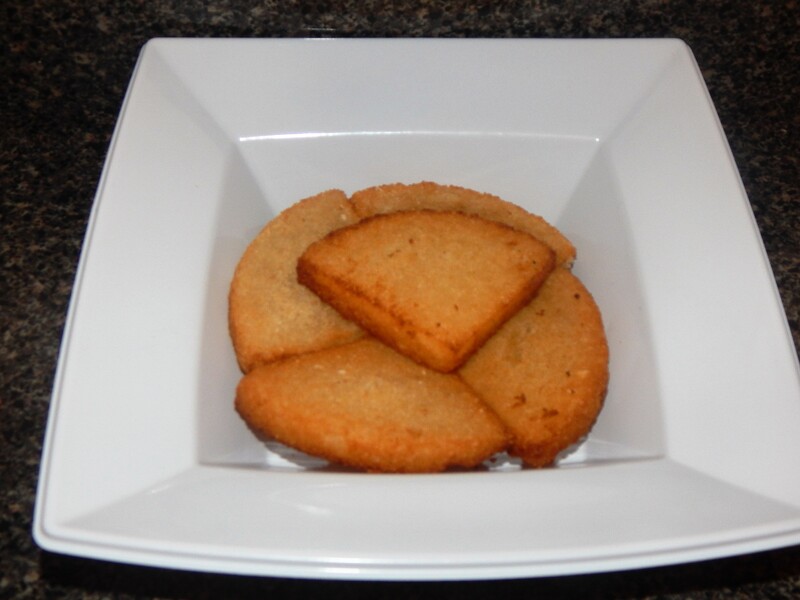 Fry Bammies until they are golden brown or until you are able to stick a fork in the center of the Bammy. Remove Bammies and place on grease paper. If Bammies were soaked properly you will not need grease paper. 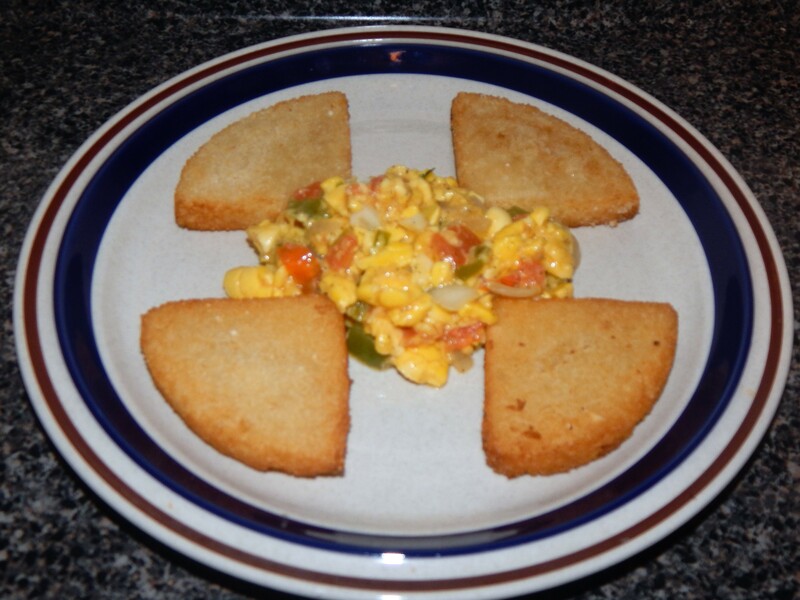 Serve your Ackee and Fried Bammies. This recipe should yield two servings. 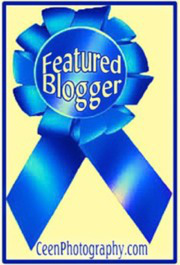 This entry was posted in Lifestyle. Tagged Cooking, Food, Jamaica, Vegetarian. I don’t have my restaurant yet, but my aunt has one in Long Island, New York.